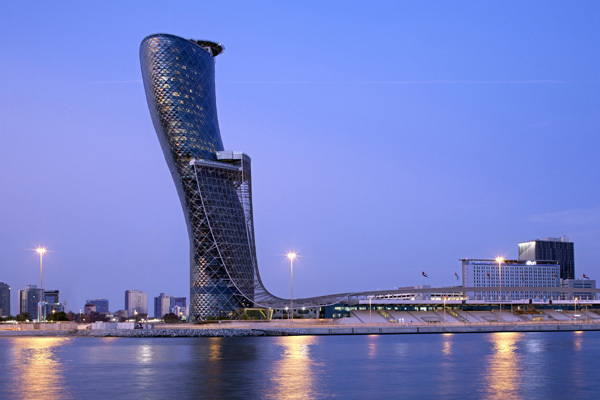 Hyatt Capital Gate Abu Dhabi is set to be rebranded this year, the hospitality giant has announced. The iconic ‘Leaning Tower of Abu Dhabi’ will become Andaz Capital Gate Abu Dhabi, marking the Andaz brand's entry into the Middle East. The hotel is owned by Abu Dhabi National Exhibitions Company (ADNEC) and is expected to be rebranded in late 2018. The word andaz means “personal style” in Hindi, and the Andaz brand is aimed at those well-travelled, guests who search for inspiration and enriching experiences that expand their perspectives. Aligned with the brand’s ethos of bringing the local neighbourhood to life, Andaz Capital Gate Abu Dhabi will offer inspiring experiences, helping guests immerse themselves in their surroundings and make their stay feel like their own from the moment they begin their journey. Centrally located in the capital city of the UAE, the property is near numerous noteworthy cultural, creative and entertainment offerings including Zayed Sports City and The Louvre, with the Sheikh Zayed Grand Mosque and Mangrove National Park just a short drive away. The hotel will feature a permanent art collection and various examples of unique craftsmanship such as “Khatt” calligraphy art and local, traditional “Sadu” weaving.